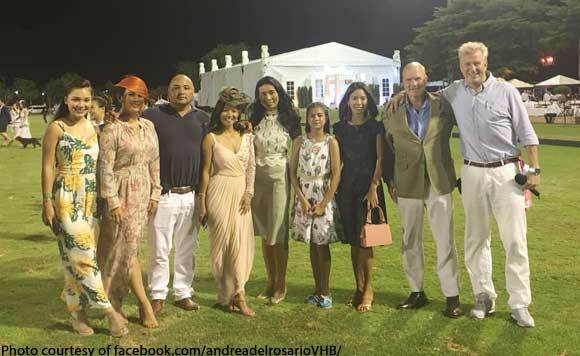 Calatagan Vice Mayor Andrea del Rosario took time out from the campaign recently to attend a polo tournament and got to rob elbows with royalty. In a Facebook post, Del Rosario said she she got to join the members of the royal family of Brunei, Thai polo patrons Khun Top and Khun Tal and other bigwigs in the polo world for the Vichai memorial tournament. The friendly match was held in preparation for the Southeast Asian Games, which the Philippines will host. Calatagan is also expected to be the venue for the SEA Games’ polo matches, so it was only apt that Del Rosario was at the memorial tournament. It looks like she was able to pull double duty as polo enthusiast and Calatagan official! “With the Royaltees of 🇧🇳Brunei, Prince Mateen , Prince Jefrey, Prince Bahar, princes Azeehma , Thai polo patron Khun Top and Khun Tal, China’s Mr. Shilay, representatives for Mongolia,Philippines (Polo federation of the Philippines team) , Argentina etc for the Vichai memorial tournament and a friendly Match in preparation for the SEA Games,” Del Rosario posted.